Dynamic Content is one of the most useful features in JungleMail. 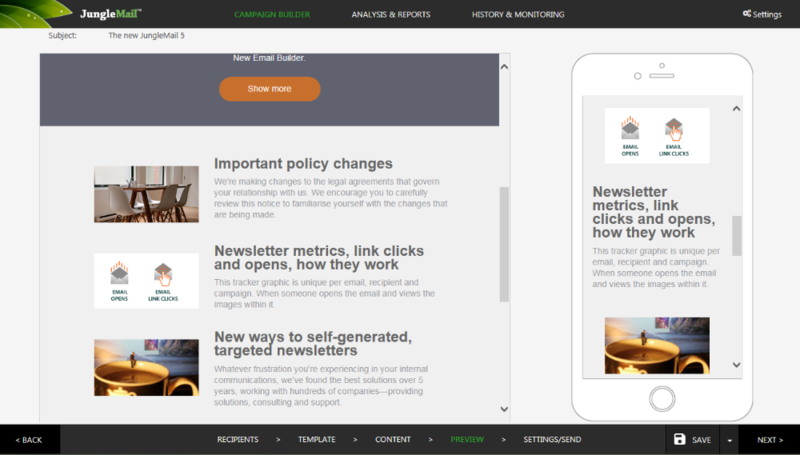 Using this feature, you can generate and personalize email content with a click of a button. In this tutorial, you will learn how to do this. Dynamic Content is the type of content that is automatically retrieved from a SharePoint, library or page, and inserted into email content. Dynamic Content, as a feature, can be enabled for a whole section or only a particular block. As a result, a static section becomes a Dynamic Section, and a static block becomes a Dynamic Block. 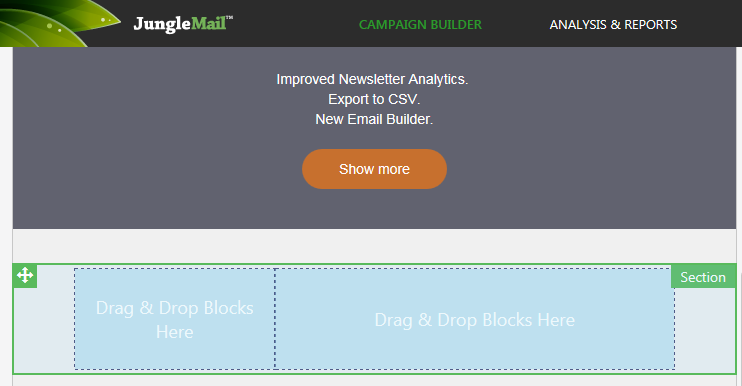 By default, a Dynamic Block/Section is automatically repeated as many times in the email body as there are items (pieces of content) in the content source. For example, if a Dynamic Block is configured to display news posts from a SharePoint page with 4 posts inside, this block will be repeated 4 times (one block per post). Dynamic Content is highly customizable. Not only you can specify content sources, but you can also limit the number of content items to be displayed, automatically filter content by subscriber preferences, block email sending if there is no new content etc. Dynamic Content feature is perhaps best explained by showing it in action. 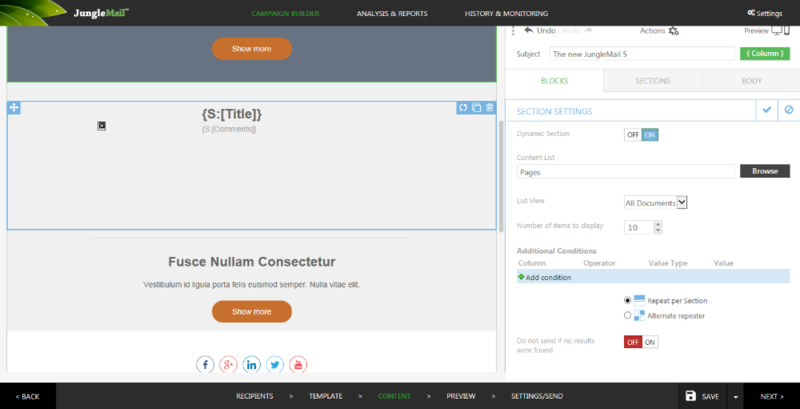 In the example below, we will configure the Dynamic Content for a Section. 4. As you can see in the image above, some additional settings for the Dynamic Section have now appeared: you can change the list view and the number of elements you want to be displayed (for example, if you only want to include the 3 most recent news items). 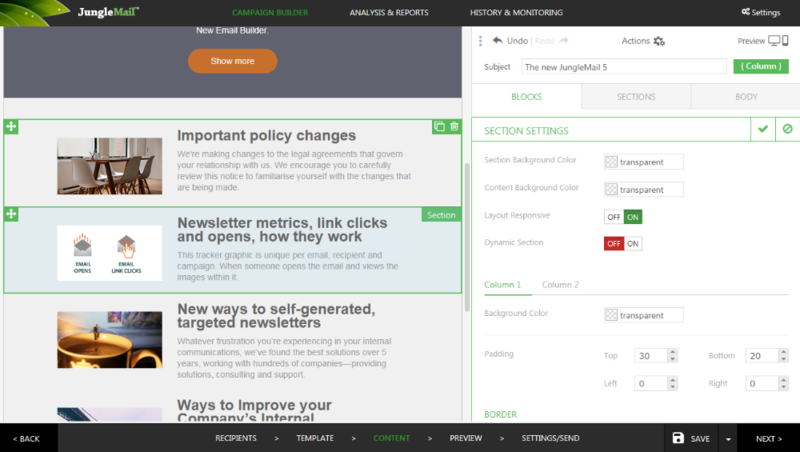 This is also where you can configure the conditions for the Dynamic Section and how you want it to repeat your content. This will be explained in more detail below. 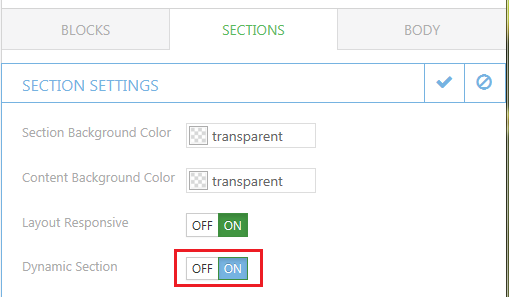 When the Dynamic Section is enabled and a list is selected, you can also see this reflected in the section borders: they will no longer be green but will have turned blue. In other words, a blue border means that Dynamic Content has been enabled for this section. 2. Now we need to configure each Block so that it is connected to the correct columns in the News Pages library for the automated content generation. To do this, click on the Block you inserted and then, in the right panel, select the column you want to use. 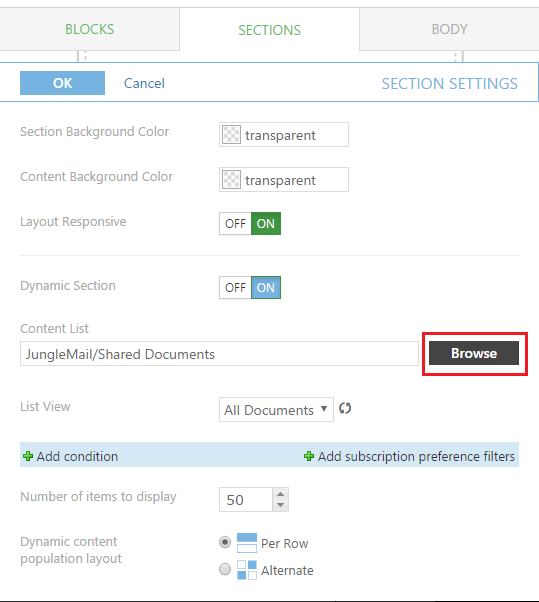 Important: after using this feature your email content becomes static (i.e., it will not be affected by changes in content sources), and the section borders change the colour from blue to green. You can then edit this static content to suit your needs. Tip: if you save your template with the static content, it will no longer be dynamic. If you want to have a Dynamic Content template so that you can reuse it in future, click Undo and save your email as a template before using the round-arrows icon.